ESPN has decided to air the national anthem live for its broadcast of "Monday Night Football" after a mass shooting in Las Vegas claimed the lives of at least 58 people on Sunday night. The network did not plan on airing the anthem before the Monday night matchup between the Washington Redskins and the Kansas City Chiefs, but changed course after the shooting, which is now billed as the deadliest mass shooting in modern American history. The network also said that it plans to air a scheduled moment of silence before the game at Arrowhead Stadium in Kansas City, Missouri. The "Star Spangled Banner" is not usually aired apart from major events, but that all changed a few weeks ago after President Trump railed on the league and its players for kneeling during the anthem in order to draw attention to social and racial injustice. After last weekend -- when all of the NFL's TV partners aired the anthem live -- networks were mixed in showing the anthem on Sunday. Fox showed the anthem for its game from London on Sunday along with "God Save The Queen," but it did not show the national anthem for its regional coverage. Fox did go back and document the response for viewers offering game reports from its sideline reporters. CBS aired the anthem live for its early game coverage, while NBC did the same for its "Sunday Night Football" broadcast. 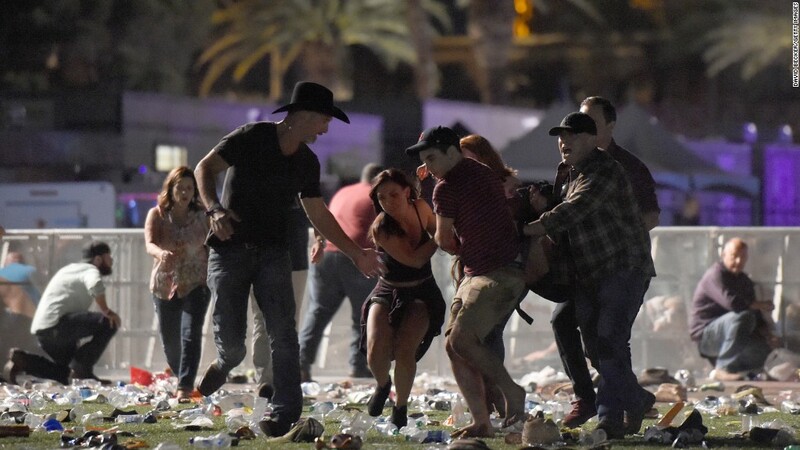 Sunday's tragedy, which injured more than 500 people, unfolded at the Route 91 Harvest Festival, a three-day outdoor country music event that took place near the Mandalay Bay Resort and Casino. Country star Jason Aldean was performing when shots erupted, prompting him to flee the stage.